This is the second of the 24 Hour focussed special reports and the fifth in the ’Race Technology’ series produced by the publishers of the highly respected Race Engine Technology magazine. It will put the role of the engine in context with its analysis of the whole car environment. 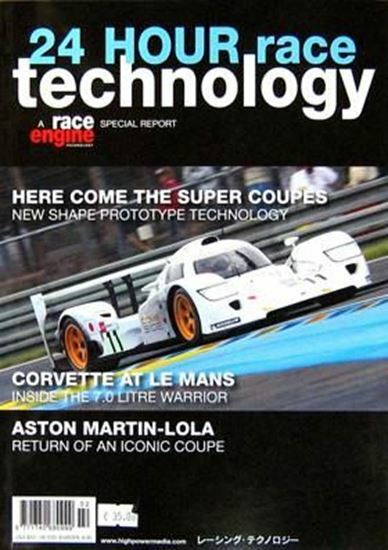 Featuring input from many of today’s top 24 hour race car designers and written by Ian Bamsey and Anne Proffit, this special report presents a unique in-depth insight into the engineering and mechanics of contemporary Prototype sports-racing and GT racing cars.